"Kerrigan slew the New Overmind and the last of Daggoth's Cerebrates...or so she thought. She calls herself the Queen of Blades and claims to have total dominion over the swarm...but she does not control me or my brood. She failed to realize the first Overmind dispatched my broods to settle worlds so far from the Koprulu Sector. When I returned, I learned a truth far worse than my terrible imagining...a Terran had gained control of the swarm. I am the last, and I am the only chance the swarm has to once again be free." Last edited by The Oracle on Sun Aug 16, 2009 9:18 pm, edited 1 time in total. Just missing Auspex or so in the list of awesome oldies. Well perhaps Meta as well. I swear to God, if I am not on the Voice roster for this campaign, Oracle I will disown you. YOU + ME = DISOWNED! Last edited by The Oracle on Sun Jun 21, 2009 9:50 pm, edited 1 time in total. 30 tracks? That's pretty... ambitious. Good luck, look forward to seeing what you come up with. Mother mercy!! One more legend has joined...! I am looking for this, too. He does it again! I can't keep up with this kind of competition! "The protoss *has* given us"
Yes. A protoss. 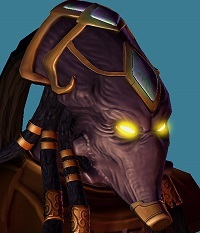 A single protoss being. A character appearing in his campaign. Probably! Or a mannerism in the characters speech pattern. Maybe this cerebrate never learned about the usage of proper grammar in the English language and thus, is unable to articulate himself appropriately. Sure, it's a bit far fetched, but thats my excuse! **Let me tell you with all the peeps making maps over the years, my own prior maps, and this contest, it is uber hard to come up with new trigger events for bosses and puzzles...but...you should be pleasantly surprised. Note: The Oracle had informed me prior to the deadline (approximately three days before the final deadline) that he would not be available due to work to release his project on time. Such a situation was unpreventable and thus upon his ability to finish the final setup of the map (which I believe is currently already in progress again) he will be submitting his project. The deductions, due to forewarning and priorities in life, will be minuscule compared to a project with no prior notice. The Oracle's previous credits and accomplishments in his works easily dictate that he can accomplish projects in a timely manner without true delay (not including the delay to complete Episode 2's final maps).